In the days before social media and the Internet, it wasn't as easy to listen in on your customers' conversations about your company. Nor could you easily encourage people to spread the good word about your business through word-of-mouth. But when you connect with your customers online, you stop speaking to them and start talking with them. And wonderful things begin to happen. Those golden word-of-mouth moments that happen naturally offline at parties or networking events suddenly begin happening online right in front of your eyes on Facebook, LinkedIn, Twitter, and review sites. On social networks, word-of-mouth referrals become amplified: the friends, families and networks of your customers see these referrals and might just beat a path to your door. How does it work? I call it the engagement marketing cycle. It begins once you've attracted a prospective customer or client to your business. This first point of contact can happen at your physical location, website, Facebook Page, trade show booth -- anywhere the conversation turns to business. Although relatively simple, the steps in the cycle are quite powerful. Manufacturing firm: Doing a small production run for a special client -- on the weekend -- to help it meet its customer's rush order. Consulting practice: Sending clients small gifts, such as cookies or gift cards, once in a while as a thank-you for their business. Bank: Offering biscuits to customers' dogs in cars at the driver-up teller window. Retail shop: Personally delivering goods during special circumstances, such as an illness, birth of a new baby or death of a family member. When you create a great customer experience, your customers will be more willing to remain in touch with you. You can't keep that great experience alive, though, if you have no way to stay in touch. Free information -- Reports, newsletters, expert tips, tele-classes, checklists and scorecards are all great incentives for enticing people to stay in touch. Special events -- Nonprofits or associations can invite people to members-only events, as can businesses with retail or office space. Birthday cards -- You can offer people discounts during their birthday month in exchange for their contact information. Discounts -- To entice people to connect via text or email alerts, consider offering special discounts or coupons. Now that you've delivered a great customer experience and have enticed people to stay in touch, it's time to bring those relationships to life by engaging people. "Engagement" means sharing content that inspires your fans, followers, email subscribers, blog readers and other online contacts to interact with you. Question and Answer -- The easiest type of content to create, you simply pose a question, provide an answer and ask your followers / fans to add their opinion. Tie questions to topical or industry events -- and don't be afraid to have fun. Sharing/Information -- With this type of content, you share knowledge on a topic relevant to your industry or expertise. This can be original content in the form of blog posts, whitepapers, case studies, infographics and the like, or sharing other people's content, such as a news item, article, or blog post, and adding your expert analysis or feedback. Discussion -- "Fill in the blank" discussion starters are a great way to get people to participate. These types of questions start a conversation with a sentence and then people have to fill in the blank. For example: "I spent Small Business Saturday shopping at _______________." Promotions and Announcements -- Here's your opportunity to share offers and company news. Samples, trial offers, coupons, special sales, e-books, reports, and free consultations are all examples of promotional offers. Events -- Workshops or training classes, seminars, user groups or conferences, private sales, parties and open houses, trade shows, sidewalk sales, demonstrations -- you name it, you can create it. And that closes the cycle's loop. Developing this cycle until it's a well-oiled machine will keep your customers and clients connected to your business, increasing your repeat sales. 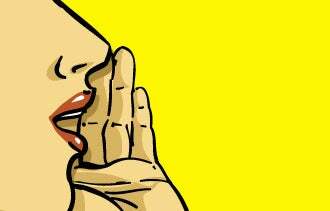 But the biggest benefit is endorsement -- that golden word-of-mouth moment that drives new customers to your business. This article is excerpted from Engagement Marketing: How Small Business Wins in a Socially Connected World by Gail Goodman (Wiley, 2012).